Bangkok is an amazing place — and not just for tourists. The city has seen an upswing in startup activity over the last couple of years. Today's Thai entrepreneurs operate in an ecosystem replete with incubators, a massive government-run venture capital fund and enough networking events to fill any striver's calendar. 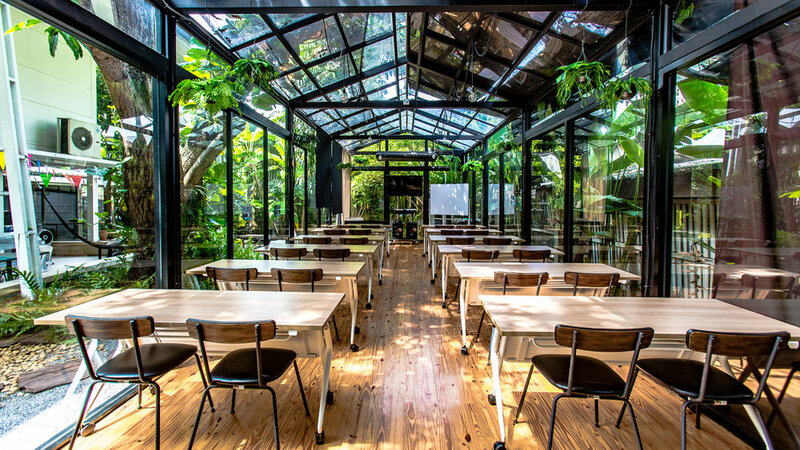 And then, of course, there's Hubba, Thailand's first coworking space and in many ways the hub of the city's startup scene. If something is happening in Thailand Tech, chances are they either know about it or are actively involved. No shoes at a coworking space! You must be a tight-knit community. Yes! No shoes in our co-working space! In Thai culture, folks remove their shoes before entering a house to keep things neat and tidy. It helps keep things clean when it's rainy outside, as no one treks mud into our work area. We have a community of about 30 monthly members per space, and we serve startup founders, digital nomads, tech and IT entrepreneurs, expats, locals, and everyone in between. We try to provide a one-stop shop for entrepreneurial success and offerprograms that offer much-needed support and resources. This vibe in this building is incredible. How long have you been here? We just celebrated our 5-year anniversary, and we're the first co-working space in Thailand. We like to believe that our community really fostered the startup wave here, and we will continue to do everything we can to help entrepreneurs realize their dreams and change the world. What was the startup scene in Thailand like before Hubba launched? There were always hustlers and an entrepreneurial mindset in Thailand. People here have been running their businesses for a long time — we've just helped our founders and entrepreneurs plug into the international scene. 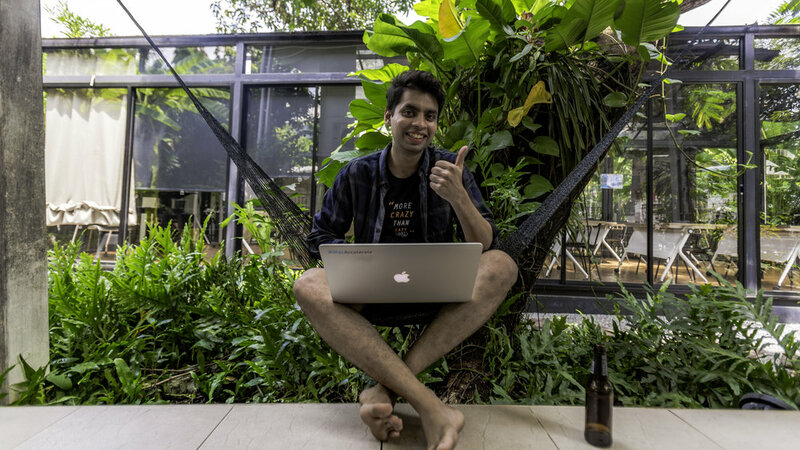 We were able to round up some incredible people, introduce hackathon culture to Bangkok, and our community laid the foundation for the now bustling accelerator and incubator programs in the region. 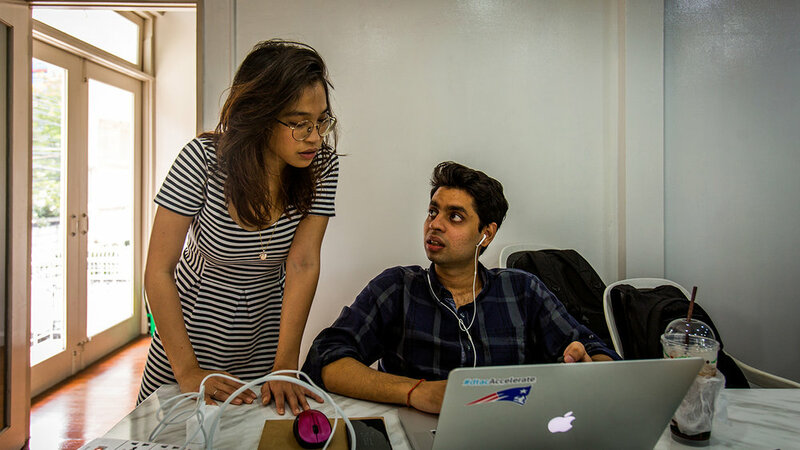 Hubbers near and far have gone on to start their own businesses, found startups, and will continue to do so. How has the startup scene changed? What does it look like today? We are proud to say we've helped support — directly or indirectly — some 800 startups now established in Thailand. We also co-founded Techsauce, one of the largest global summits in SE Asia, and moved the co-working industry and entrpenurial support programs towards the future here. I know that Hubba has grown a lot over the years. How many spaces do you operate now? We have threeplocations in Bangkok! This location, Hubba Thailand Ekamai, Discovery Hubba Siam Square and Hubba-To Onnut. And it's not all coworking, right? You're more of a full-service, one-stop-shop for startups in Thailand. Hubba is really excited to offer more than coworking, although our Hubba spaces are one of the platforms and ways in which we support entrepreneurial success. We provide workshops, programs and meetups, and learning experiences through Hubba Stadium and Hubba Academy. We are ecosystem builders, and that means providing resources, mentorship, connections, and know-how, in addition to space. Our community also teaches our community! Through Hubba connect, our online member platform, Hubbers are able to utilize our space, book events, and most importantly, collaborate with other members all over the world. What's next for Hubba? What are you excited for in 2018? We're thrilled to announce that we are launching innovation programs for all entities, big and small so that they become lean, mean, innovative machines that are ready for the digital revolution. Execute professionally with a startup mentality is the way we work! We know our program will help people work with startups, and transform their business. We're also planning to launch the biggest startup campus in Asia. Alright, so this is a hard question to ask of a space with hammocks and trampolines, but if you could add one thing to the space, what would it be? A play zone!! Or maybe a pool! We'd also love to create a member garden and compost machine. We're always eating together, and plan on going green soon. So, one way we would love for people to grow together is to literally grow together! By taking care of our waste products sustainably, we can create an organic garden for all to share.